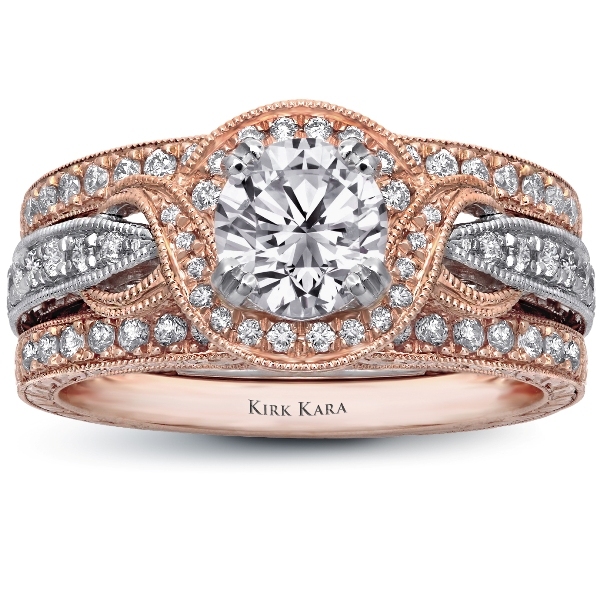 HAND ENGRAVED 18K ROSE GOLD AND WHITE GOLD ENGAGEMENT RING. 0.25cts DIAMONDS (CENTER DIAMOND NOT INCLUDED). HAND ENGRAVED 18K ROSE GOLD BANDS, EACH 0.17cts DIAMONDS.